Apollo 15 was the ninth manned mission in the United States' Apollo program, the fourth to land on the Moon, and the eighth successful manned mission. It was the first of what were termed "J missions", long stays on the Moon, with a greater focus on science than had been possible on previous missions. It was also the first mission on which the Lunar Roving Vehicle was used. The mission began on July 26, 1971, and ended on August 7. At the time, NASA called it the most successful manned flight ever achieved. 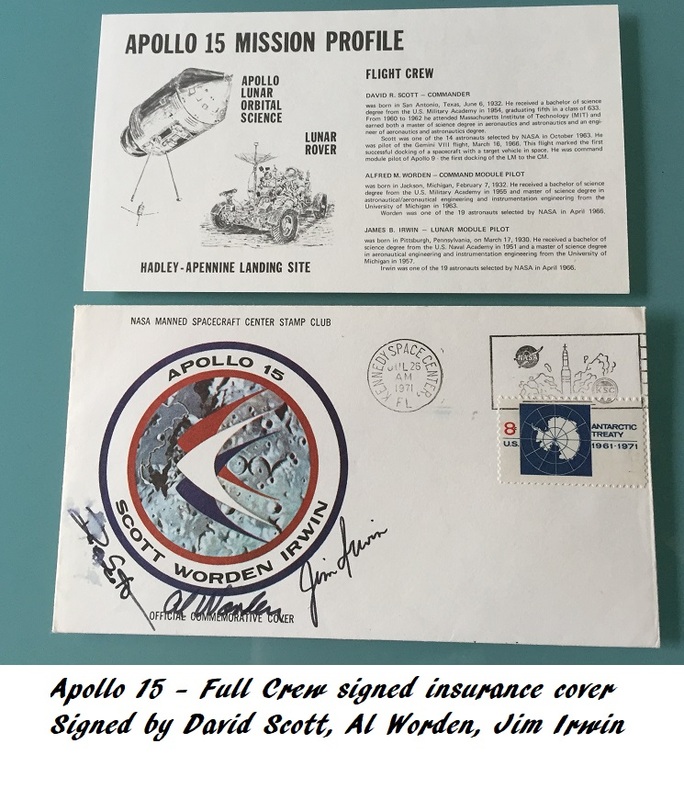 This is an OFFICIAL NASA signed Insurance cover for Apollo 15. Insurance covers are highly sought after. in space that would not allow the crew to safely return to earth. This procedure was carried out for six Apollo flights, including Apollo 15 flight to the moon. Just because a cover has the proper cachet, stamps, postmarks and crew autographs does not make it automatically an actual insurance cover. Many such covers were autographed after the flight and, as such, do not qualify as actual insurance covers. and this has been a problem concerning insurance covers. The only insurance covers that the crew of Apollo 15 used were those provided by the NASA Manned Spacecraft Stamp Club. 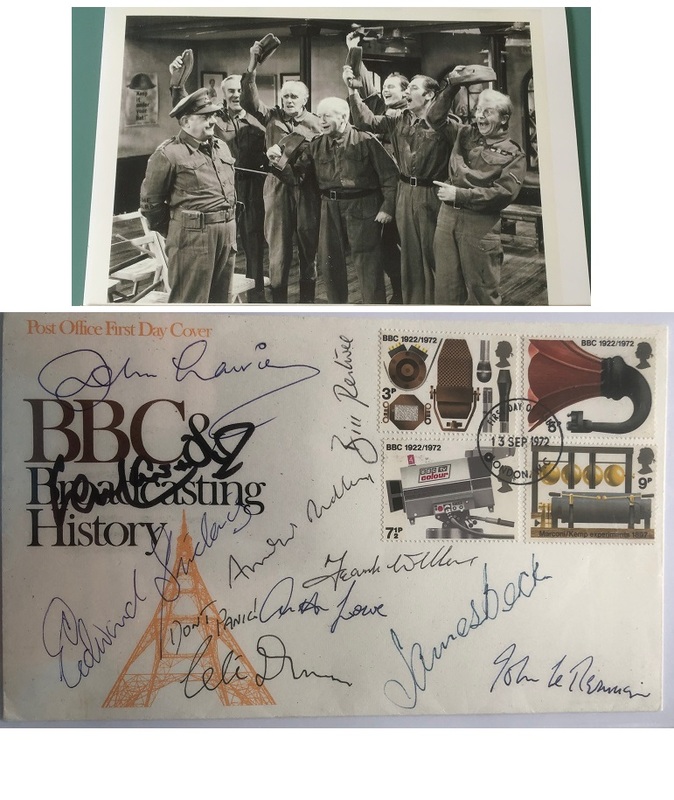 These MSCSC covers were signed by the crew prior to the flight, had stamps applied, canceled and held by our families during the flight. have become treasured and valuable collector items. "Jim" Irwin (March 17, 1930 – August 8, 1991) (Col, USAF) was an American astronaut, aeronautical engineer, test pilot, and a United States Air Force pilot. and youngest, of those astronauts to die. There is a minor smudge on Dave Scott autograph, but a wonderful, rare item !